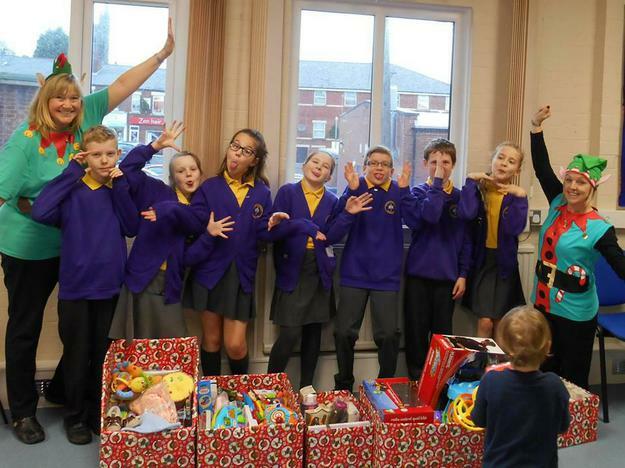 Members of our Footsteps Ethos Group, raised money through a used toy stall at the Christmas Fayre. With the money raised they then went shopping to buy new toys and toiletries. These were delivered to Homestart in Chorley, when we delivered the donations. They were holding a Christmas party and invited us to join them for a story teller, drinks and biscuits.